When I joined TribalScale as an Event Support Intern, I had no idea how truly crazy planning a conference would be. Back in May, on my first day, I quickly learned that my role was to help plan TribalScale’s inaugural conference; TakeOver. My manager Ruth and I had many elements of the conference to attack with the countdown on! Here’s how TakeOver was put together and what I earned as an intern. Attracting global speakers to come to Toronto for our one-day conference wasn’t always easy.. Luckily, the team here at TribalScale have many connections within all industries worldwide. Speakers have committed from places like New York, Silicon Valley and Dubai. The team mandated diversity and equal gender balance of speakers. This task was more challenging than anticipated as most organizations tend to recommend male speakers. It was rewarding to see organizations put forth and recognize female speaker candidates to support our mandate. Now that we had speakers it was time to SELL TakeOver! I gained a lot of respect for people in sales positions when working on sponsorship. Selling sponsorship requires a rinse and repeat process of creating sponsor proposals, scheduling phone calls, and sending many follow ups. While it’s a long process, sponsors are an incredibly crucial part of any event. They provide credibility to our conference and financial flexibility as we are able to allocate more funds back into TakeOver. My Takeaway: Sponsorship is a partnership, not advertising! Both partners have something to provide and something to benefit from. I learned about personal selling and providing each sponsor with a unique value proposition. TakeOver had three main speaking tracks; Human, Industry, and Economic Innovation. Organizing the programming for speakers and moderators was a massive puzzle. Speakers needed to complement each other’s knowledge while providing an equal gender balance. My Takeaway: Strategizing where participants will sit on stage can make or break the conference. While having individuals who are close and have past relations can be nice, having individuals with opposing views can also be insightful and provide meaningful content. Having little experience with design I learned a lot more about branding, colour scheme and logo’s this summer. Trying to decide on a logo with a complimentary colour scheme that looked good on web and print was difficult. Eventually with help from our design team we decided on a on our TakeOver branding. My Takeaway: The little things matter! If you want to make your event standout the first step is to make the design attractive! Assets such as colour scheme and logo need to be methodically thought out. Keep in mind that colours and logos may appear differently on print vs. web. On Thursday August 10th, it was official! 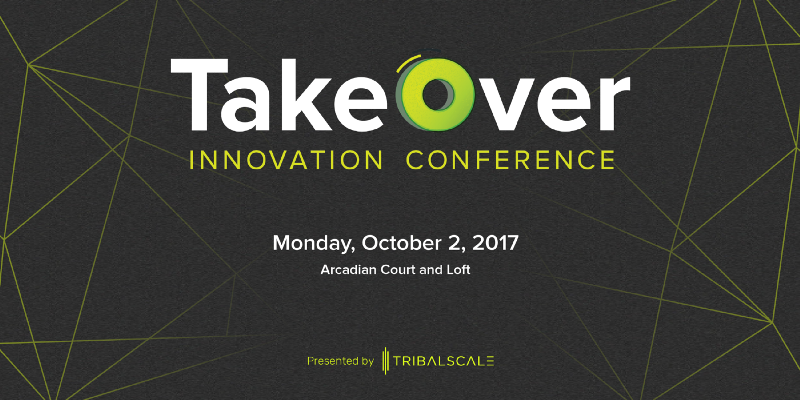 TribalScale’s TakeOver Innovation Conference was publicly announced. After three months of hard work,and wondering at times if TakeOver would actually “TakeOver Toronto”, it was an awesome and rewarding feeling to finally see my work come to fruition. While there’s still lots of work to do before the big day, this is a small behind the scenes look at how the TakeOver team here at TribalScale put it all together. Unfortunately I’ll be back in school starting September, however, I plan to attend the conference to see our hard work come to life. As my first time planning a conference of this scale, my time at TribalScale this summer was incredibly rewarding. My superb manager, Ruth, helped me through every step of the way. Working closely with the leadership team was tremendously advantageous for my professional development. Be sure to check out TakeOver and purchase your tickets for October 2nd. Watch out, we’re about to TakeOver! 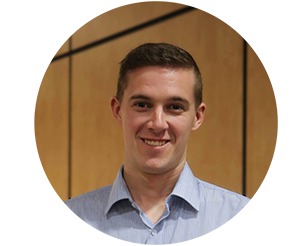 Dan Ciparis currently studies Sport Business at the University of Waterloo and is the Summer 2017 Events Support Intern at TribalScale. Dan has a passion for sports (specifically hockey) and strives to one day work for an NHL team in a player management position. Follow Dan on Twitter @DanCiparis!